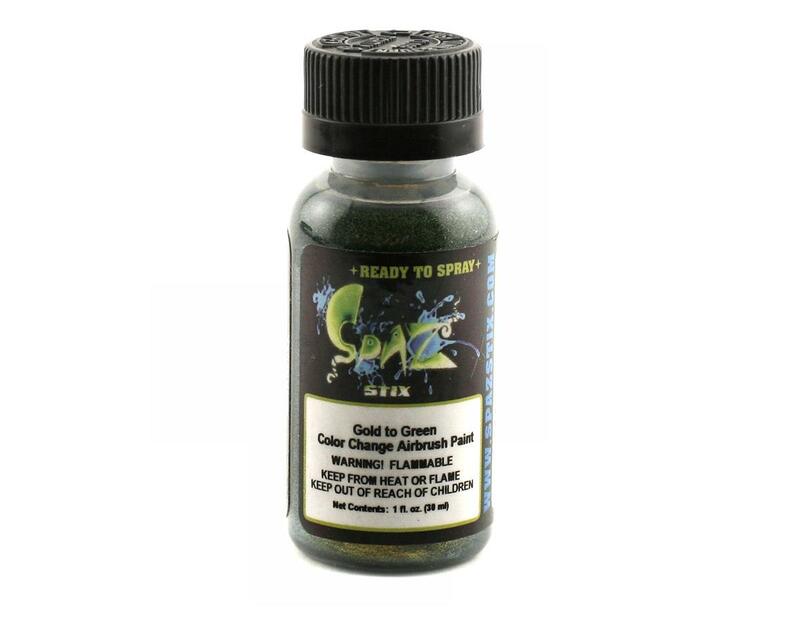 This is a bottle of Spaz Stix Gold to Green multi color change paint! Spaz Stix is the premier BRAND when it comes to high-end RC Paints... whether your a seasoned PRO or just breaking into the industry you'll find that nothing beats Spaz Stix when it comes to un-surpassed quality and ease of use! NOTE: Spaz Stix paints now comes 2oz to a package, and you may receive a single 2oz bottle of paint, or two 1oz bottles in a package. Either way the total amount of paint is always 2oz.